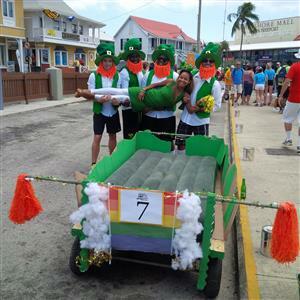 With St Patrick's Day as our theme, our club received an award for Best Bed at this year's Rotary Bed Race. Gooooo Blue! Proceeds from Bed Race will go towards Rotary's effort to eradicate Polio throughout the world.